Over the past 2 weeks I have seen 3 new clients who have all asked for a low maintenance garden. Time is a real luxury to them and despite the fact that they love to be out in the garden, even enjoy gardening, they just don’t have oodles of time to keep it looking lovely. 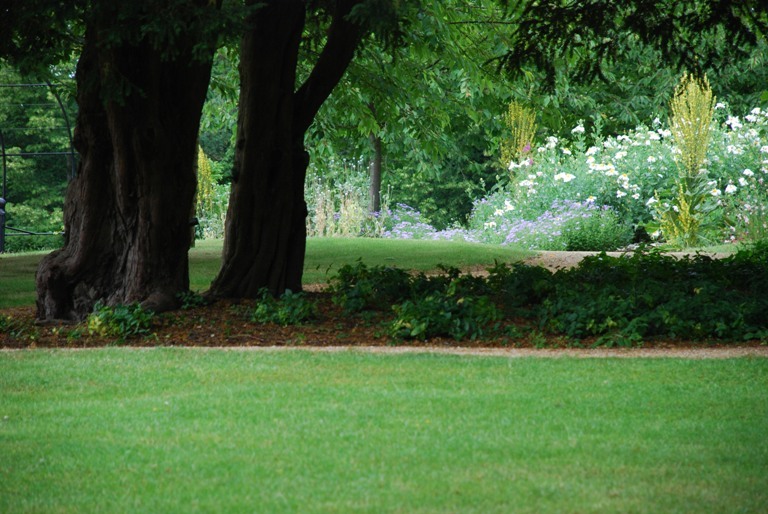 Lawn areas – We English love a lawn and if there are children in the family, most people want them to be able to play out in the garden. But the truth is that a lawn is high maintenance, it needs to be mown at least once a week in the summer and if you want it to look good it also requires care throughout the year. To make mowing easier think about access – straight edges are quicker and easier to mow and if your lawn meets a vertical surface, a retaining wall for example, put in a mowing edge so that you don’t need to use a strimmer to get in the corners. Flowers – As beautiful as they are, herbaceous perennials require attention if they are to remain looking gorgeous throughout the summer. Dead-heading encourages new flowers and many should be lifted and divided to prevent them from getting congested. If you don’t have the time to do this, think about other ways to get colour in the garden. 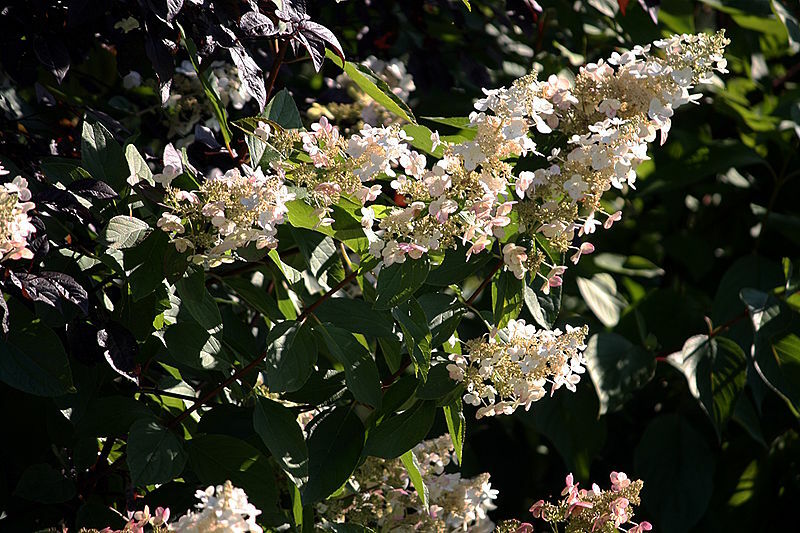 Flowering shrubs are great because other than the occasional prune, they can be very much left to their own devices. Hydrangeas, for example, are a great option because they do their thing in summer and the spent flower heads keep their shape and form in the winter too. 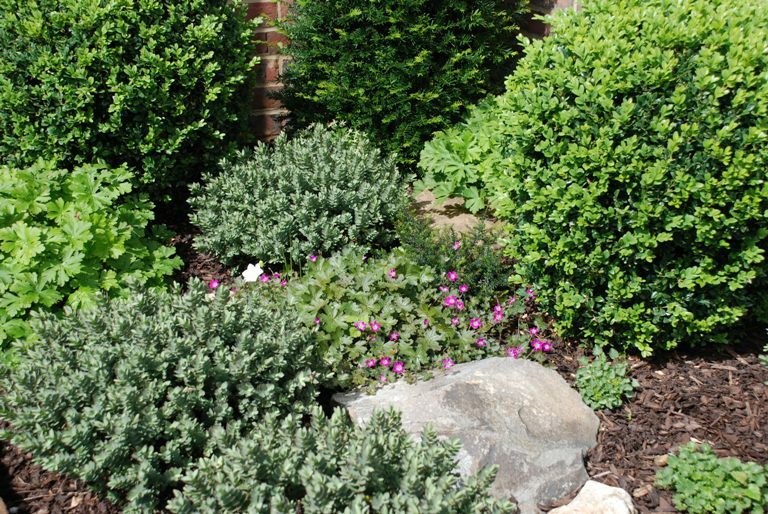 Ground cover – If you don’t want to spend your garden time weeding then think about ground cover plants. If you ensure that all the soil is covered then it will make it more difficult for weeds to take hold. Evergreen ground cover is great because it will stay in winter too. 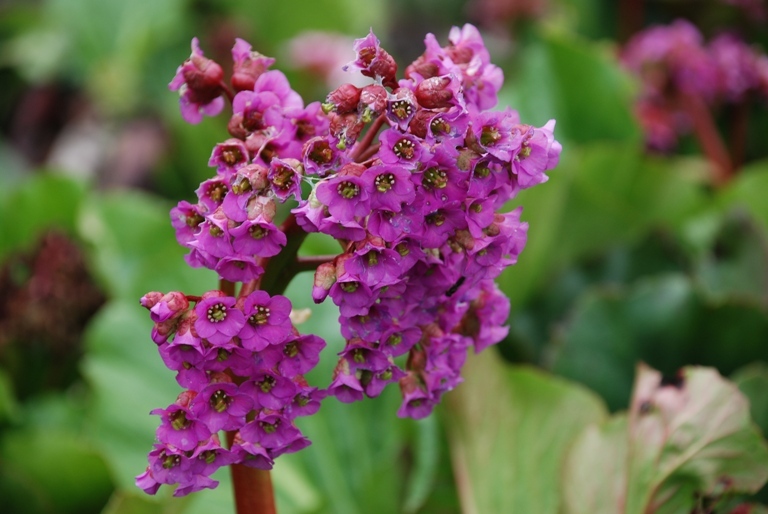 Bergenia is one option (although can look a bit scruffy at certain points in the year) or choose something like vinca minor which will grow in challenging conditions (dry shade for example) but plant with care because it will happily take over if the conditions are right. 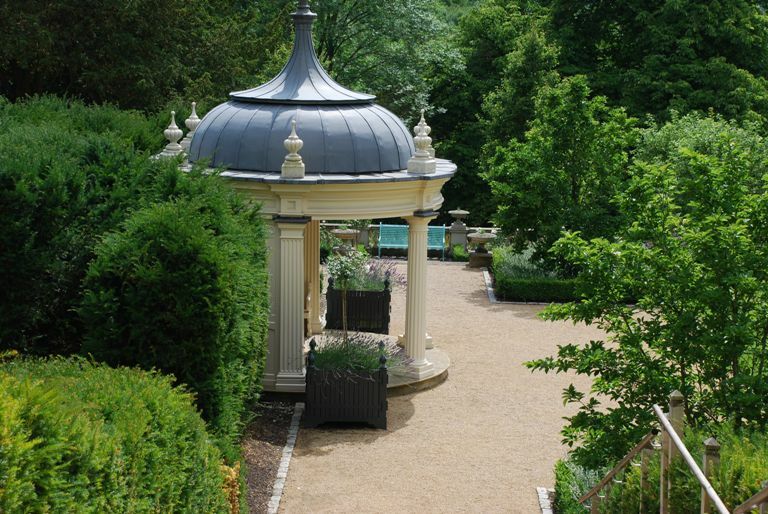 Pots – Pots can be high maintenance, especially in the summer when they need to be watered a lot. Try planting a shrub or perennial in your pots instead of annuals so that you don’t need to re-pot each season. You might wish to try water-saving granules so that you don’t need to water every day or an irrigation tank which means that you need only water once a week in the summer. Mulch – mulching the beds might require an investment of time in the spring, but you will reap the rewards. Using a mulched bark is great because it will not only suppress the weeds and prevent soil evaporation, it will also condition the soil. Ensure you mulch when the ground is cool and damp – if you mulch when the ground is dry it’ll have the opposite effect!